A perfect print for retro kitchens - we have .. mixers, scales, measuring cups, and retro bowls. 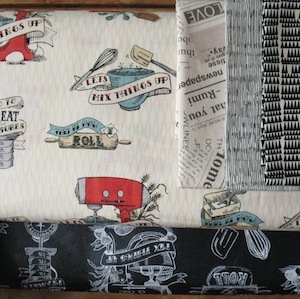 Would make a funky kitchen blind, cute pot holders or wee curtains. Scale wise the width of the beautiful mixer is 7cm.